Silent Development: Nokia 5230 and Internet over Bluetooth Software - "Baps"
Nokia 5230 and Internet over Bluetooth Software - "Baps"
Work has stopped until I have some significantly free time. HTTP errors and traffic timeouts are causing the main problems and will require a lot more than a few hours of an evening which my other projects take, especially to make it easy for Joe User to install and configure. This is the next project on my todo list but I have a lot of other pressing things I need to deal with over the next 6-8 months. Sorry. Success! The proxy on both sides is very fast and very minimal. I'm now fixing transfer length issues (HTTP 1.0 support), need to add disconnection protection as well as a decent configuration UI, installer and do some code cleaning and QA. Multiple app connections are possible but data is sent via a single synchronous link to the Baps server (on Windows), i.e. both sides process multiple requests at the same time but data is ordered again for sending between the phone and PC. I can now send a single preformatted HTTP request from the phone to the PC and receive a response on the phone (admittedly the reponse is usually a HTTP 301 or 400 error probably caused by incorrect request packet formatting). This is taking longer than I anticipated especially as I have a busy weekend coming up and it is still very much proof of concept (no gui or configuration yet). I'm re-estimating *at least* another 2 weekends. 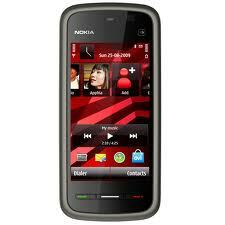 So I've purchased a Nokia 5230 which is a fine touch screen phone and has a built in GPS. The only problem is that it has no WIFI so all net access is charged at premium 3G rates even when I'm at home and have broadband. I'm now working on a proxy along the lines of the Hiisi Suite and MiniBTProxy called "Baps" (Bluetooth Access Point Service) that will allow an Internet connection over Bluetooth for Nokia mobile phones using Microsoft Windows XP/Vista/7 with a broadband connection. I've already implemented a simple proxy on Windows and will shortly be adding Bluetooth functionality to it courtesy of the Marge Bluetooth API. Make it easy to install (installer and guide). Proxy only HTTP (no secure HTTPS connections). Support multiple connections (allowing many mobile apps to run at once - a problem for the existing Bluetooth proxies). Provide seamless as possible connection restoring functionality in the event of Bluetooth dropout. As usual source code will also be made available on release sometime before or around the 21st of November. Nice. Any chance of this working on older phones like the nokia N70? I'm aiming on it being compatible even with basic Java phones so it should work, but the starting goal is just the Nokia 5230. I've looked at the source code for Hiisi and can improve upon it (but won't base my code on it). I'll follow your project with great interest. Great! Looking forward to see this software working. Thanks for doing this, I can't wait for a release. Thank you very much. After seeing this project Ive got my hopes back ! I bought Nokia 5230 1 week ago and Ive been searching over the internet since then and I'm so excited now ! Looking forward to your project, and hope it will be ready soon ! Thank you! Kudos to you for taking up such a great and much required initiative! I really need to use it to reduce GPRS costs.. When are you planning to release the software? very interested in this and will follow progress..
Is this project still ongoing? There is no update quite a while. Are you stil working on the project? I would be very nice to be able to surf the www via the bluetooth! !